Founded in 1967, the Downtown Lincoln Association was originally established as a merchants’ association by downtown retailers who recognized the need for an organization to serve downtown’s unique needs. DLA has since evolved to a multi-faceted organization supporting a wide range of programs and activities including maintenance, economic development and advocacy. DLA is also the umbrella for the Downtown Neighborhood Association. The association works closely with the Lincoln Haymarket Development Corporation to support Haymarket revitalization and attractions. live, learn, work, invest and play. Mission Statement: The Downtown Lincoln Association provides services and champions initiatives for maintaining and enhancing our vibrant downtown. Terry manages the organization, supervises staff, implements annual program of work, facilitates public private redevelopment projects, serves as the primary liaison to the DLA board, property owners, City of Lincoln, UNL, state government and subsidiary DLA organizations. 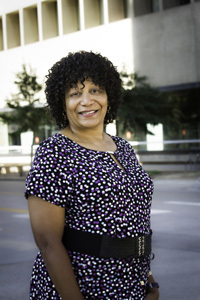 Terry has more than 25 years of experience in the field of community development. 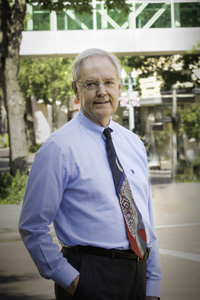 He worked as a housing specialist for the City’s Urban Development Department before becoming Executive Director of NeighborWorks Lincoln in 1991. Terry, a Hastings native, is married and has two children. Todd is responsible for the development, implementation and oversight of investor/ consumer marketing plans for downtown Lincoln. 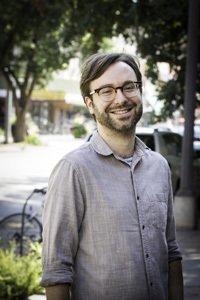 Todd also serves as the primary liaison to over 900 downtown businesses and associations. Duties include economic development, market research, advertising, public relations, retail recruitment and visitor promotions. Todd is a Lincoln native and UNL graduate with degrees in Advertising and Political Science. 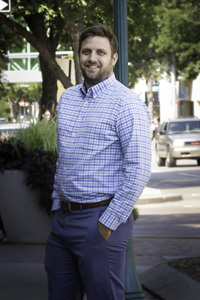 Todd is a current member of the International Downtown Association and President of the Lincoln Chapter of the American Marketing Association. George oversees and manages the downtown maintenance program, including supervising seven full-time maintenance workers. He also coordinates the landscaping and works closely with the City’s Public Works, Urban Development and Parks & Recreation departments. Lorna manages all DLA finances, including Management & Maintenance BIDs and the DLA Parent Board. She also manages finances for the Lincoln Haymarket Development Corporation. Lorna oversees DLA’s annual audit and works closely with the City on budget monitoring record-keeping and reporting. 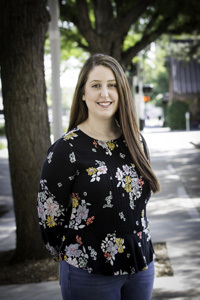 Katey serves as the primary support staff for the DLA management and maintenance programs as well as the coordinator of daily business activities of the DLA office. She also serves as recording secretary for the Board of Directors and board committees. Collin coordinates the marketing department’s advertising including designing print and promotional materials. 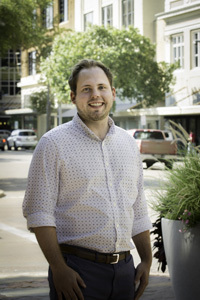 Collin works with downtown businesses to promote their special events and news and collaborates with the Deputy Director to develop and implement the marketing plans for DLA. Ross serves as lead technical staff for Downtown Lincoln’s website, annual report and internal databases. Ross works closely with DLA staff and downtown property owners to conduct downtown market studies. He also assists with special projects. 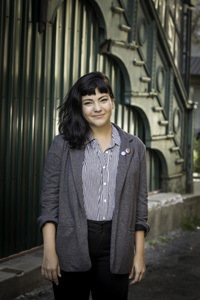 As marketing coordinator, Madeline produces news stories for DLA's live news feed and monthly newsletter. She is also involved with the development of news releases, website content, social media updates and assisting in special projects. 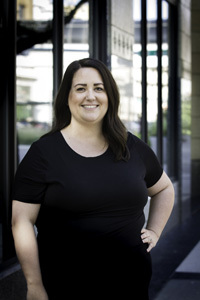 Liz serves as public liaison for DLA and is the primary contact for the downtown gift card program. She also assists with data collection and other special projects. Taylor handles the primary planning and implementation of DLA's events and oversees on-site duties day of event. She also offers support to other downtown events and assists with DLA special projects.